Labradors and Friends Dog Rescue Group is a 501(c)3 animal rescue group whose mission is to help save the lives of homeless Labradors, Labrador-mixes, and Labrador "friends" from kill-shelters in California and across the southwest. Founded in 2007, our all-volunteer group of dedicated men and women have placed over 4,500 dogs in loving homes in Southern California and the surrounding areas. Over the past few years, Labradors and Friends Dog Rescue Group has noticed a dramatic increase in the number of senior dogs and dogs requiring medical care who are in need of rescue from high-kill shelters. In response to this need, Labradors and Friends Dog Rescue Group created two special funds to help these deserving dogs. The "Agnes Fund" was created to help cover the costs of caring for senior dogs and the "Paw Up" fund was created to cover the cost of both major and minor medical needs. 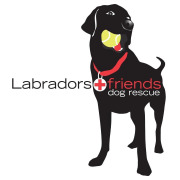 Labradors and Friends Dog Rescue Group is dedicated to changing the fate of Labrador Retrievers, Labrador-mixes, and Labrador "friends" by placing them in loving forever homes. Labradors and Friends Dog Rescue group plays an important role in the local community by uniting people with their 4-legged companions and helping to complete families. Labradors and Friends Dog Rescue has a lifesaving percentage of 98%. Labradors and Friends Dog Rescue takes in approximately 350 dogs (adults and puppies) annually. LABRADORS AND FRIENDS DOG RESCUE GROUP INC accepts donations. Donate Now. Would you recommend LABRADORS AND FRIENDS DOG RESCUE GROUP INC?